Gregory L. Charvat stays very busy as an author, a visiting research scientist at the Massachusetts Institute of Technology (MIT) Media Lab, and the hardware team leader at the Butterfly Network, which brings together experts in computer science, physics, and electrical engineering to create new approaches to medical diagnostic imaging and treatment. 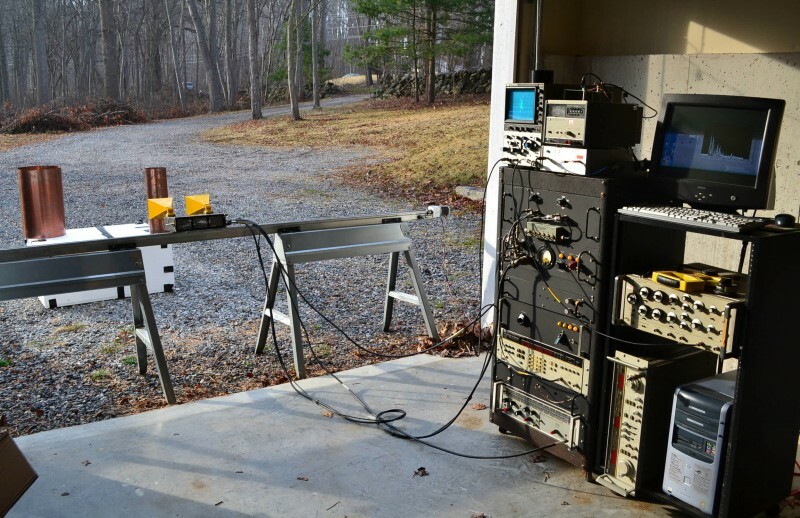 If that wasn’t enough, he also works as a start-up business consultant and pursues personal projects out of the basement-garage workspace of his Westbrook, CT, home (see Photo 1). Recently, he sent Circuit Cellar photos and a description of his lab layout and projects. Photo 1: Charvat, seated at his workbench, keeps his equipment atop sturdy World War II-era surplus lab tables. Charvat’s home setup not only provides his ideal working conditions, but also considers frequent moves required by his work. Key is lots of table space using WW II surplus lab tables (they built things better back then), lots of lighting, and good power distribution. I’m involved in start-ups, so my wife and I move a lot. So, we rent houses. When renting, you cannot install the outlets and things needed for a lab like this. For this reason, I built my own line voltage distribution panel; it’s the big thing with red lights in the middle upper left of the photos of the lab space (see Photo 2). It has 16 outlets, each with its own breaker, pilot lamp (not LED). The entire thing has a volt and amp meter to monitor power consumption and all power is fed through a large EMI filter. Photo 2: This is another view of the lab, where strong lighting and two oscilloscopes are the minimum requirements. 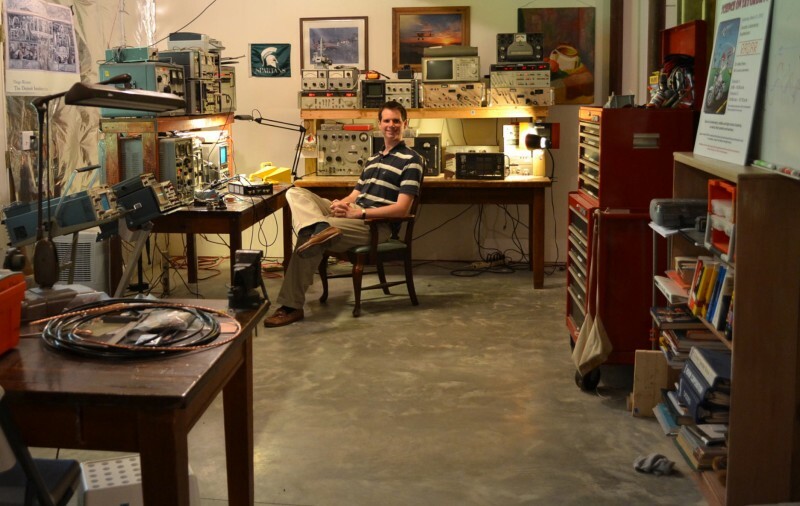 Projects in the basement-area workplace reflect Charvat’s passion for everything from microwave imaging systems and small radar sensor technology to working with vacuum tubes and restoring antique electronics. My primary focus is the development of microwave imaging systems, including near-field phased array, quasi-optical, and synthetic-aperture radar (SAR). Additionally, I develop small radar sensors as part of these systems or in addition to. Furthermore, I build amateur radio transceivers from scratch. I developed the only all-tube home theater system (published in the May-June 2012 issues of audioXpress magazine) and like to restore antique radio gear, watches, and clocks. We’re fortunate to have access to excellent test gear that is old. I procure all of this gear at ham fests, and maintain and repair it myself. I prefer analog oscilloscopes, analog everything. These instruments work extremely well in the modern era. The key is you have to think before you measure. Adequate storage is also important in a lab housing many pieces for Charvat’s many interests. I have over 700 small drawers full of new inventory. All standard analog parts, transistors, resistors, capacitors of all types, logic, IF cans, various radio parts, RF power transistors, etc., etc. And it is critical to keep an orderly workbench, so he can move quickly from one project to the next. No, it cannot be a mess. It must be clean and organized. It can become a mess during a project, but between projects it must be cleaned up and reset. This is the way to go fast. When you work full time and like to dabble in your “free time” you must have it together, you must be organized, efficient, and fast. 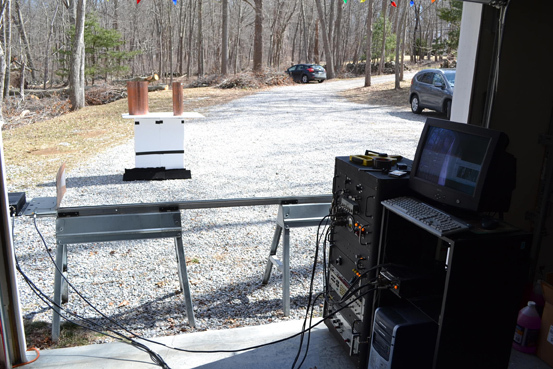 Photo 3: This photo shows the impulse rail synthetic aperture radar (SAR) in action, one of many SAR imaging systems developed in Charvat’s basement-garage lab. 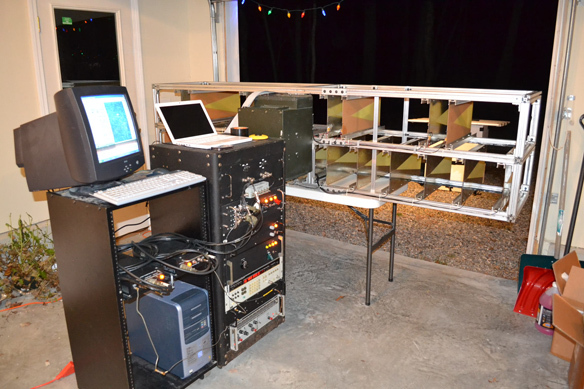 Photo 4: Charvat built this S-band, range-gated frequency-modulated continuous-wave (FMCW) rail SAR imaging system. Photo 5: Charvat designed an S-band near-field phased-array imaging system that enables through-wall imaging. 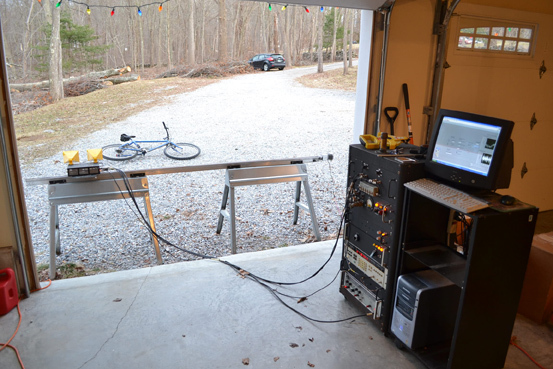 Photo 6: Charvat’s X-band, range-gated UWB FMCW rail SAR system is shown imaging his bike. 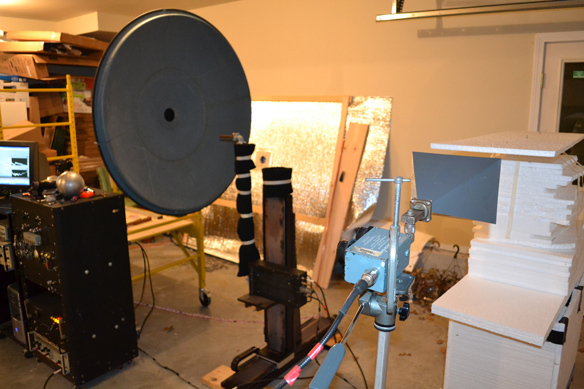 Photo 7: Charvat’s quasi-optical imaging system includes a parabolic dish. To learn more about Charvat and his projects, read this interview published in audioXpress (October 2013). 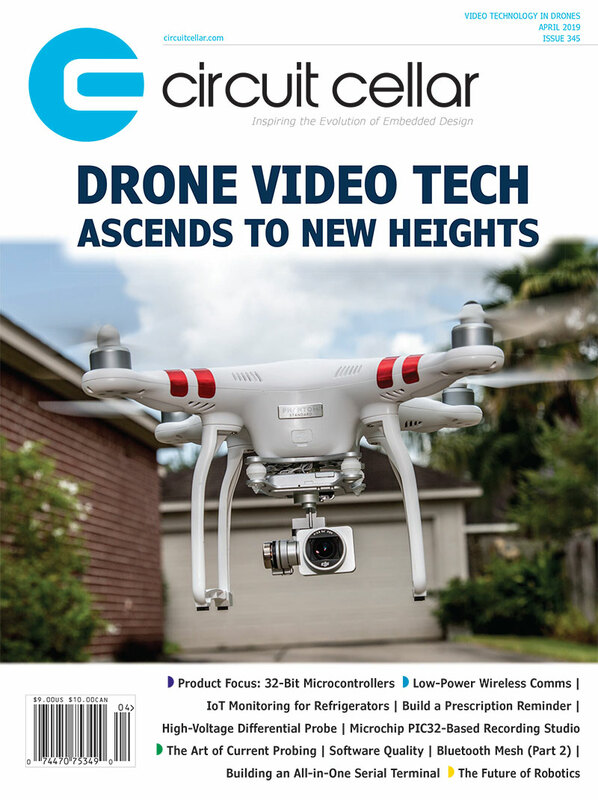 Also, Circuit Cellar recently featured Charvat’s essay examining the promising future of small radar technology. You can also visit Charvat’s project website or follow him on Twitter @MrVacuumTube. 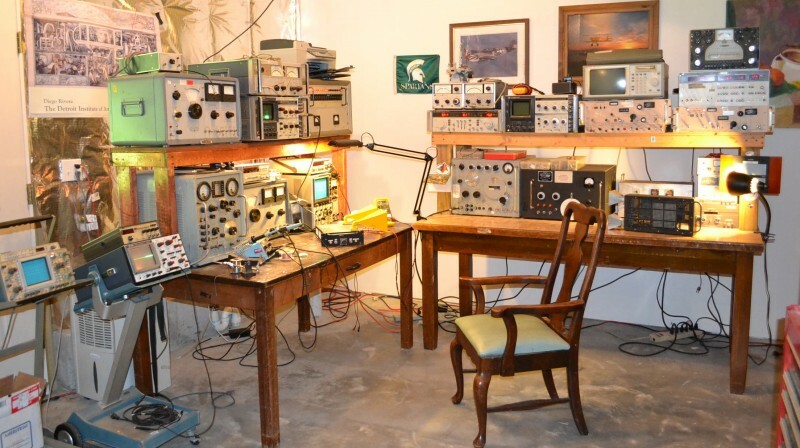 This entry was posted in Workspaces and tagged amateur radio, analog, antique radio, digital, Gregory Charvat, home theater, imaging, lab, oscilloscopes, phased array, radar, SAR, sensors, small radar, vacuum tubes, workbench, workspace, X band by Circuit Cellar Staff.